Massey University researchers have discovered a school of the rare false killer whale returns regularly to New Zealand waters between December and May, accompanied by their close relatives the oceanic bottlenose dolphins. The study, based on 17 years of observations, looked at identifying the relationships between individuals and their movements, based on the unique markings on their dorsal fins. Masters student Jochen Zaeschmar, from Massey University’s Coastal-Marine Research Group has been studying the false killer whale (Pseudora crassidens) since 2000, and says the species is one of the lesser-known members of the dolphin family. 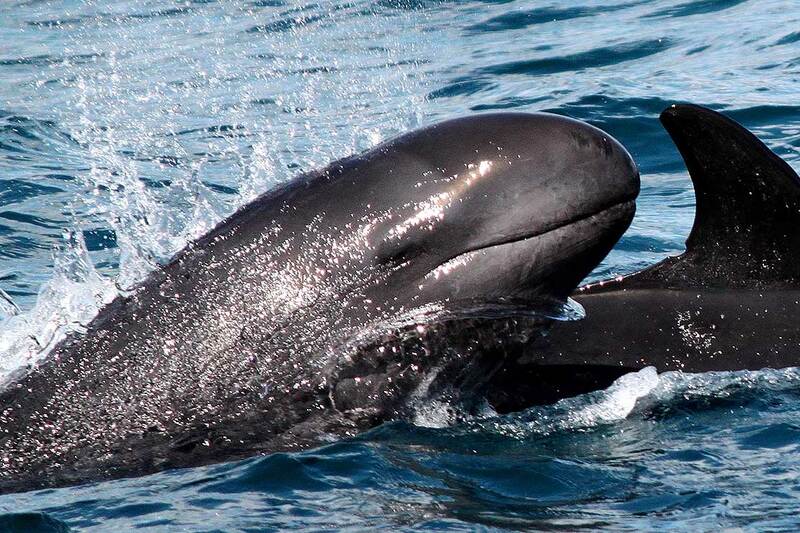 False killer whales are not whales, but belong to the dolphin family, and are more closely related to pilot whales. The somewhat confusing name comes from similarities in skull shape between the false and actual killer whale. A total of 61 individuals have been identified so far, with around 85 per cent repeatedly re-sighted in the coastal waters off north-eastern New Zealand over seven years, and hundreds of kilometres. All individuals identified are linked in a single social network, suggesting they all form part of the same population. Mr Zaeschmar offers three possible options why the two groups roam the ocean together. This research is the result of great collaboration from a large number of people says Coastal-Marine Research Group director Dr Karen Stockin. False killer whales are currently considered ‘not threatened’ in New Zealand but the Department of Conservation concedes that more data is required to properly assess their status. Mr Zaeschmar says this research is the first step to a species-specific study on false killer whales in New Zealand. Research from Hawaii indicates that resident populations can be small and genetically unique. It is possible that a similar scenario may exist here, and that basis it may be prudent to reassess their current conservation status in New Zealand. The research was published in the prestigious Marine Mammal Science journal.